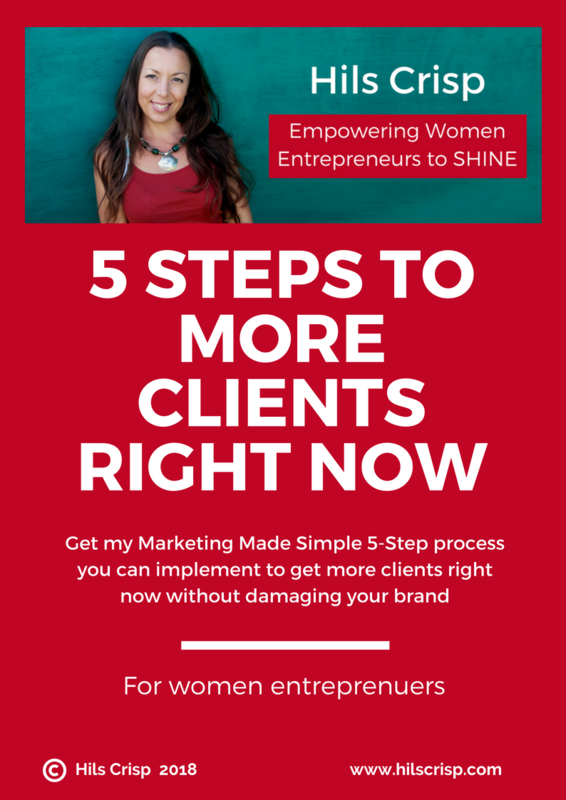 Get my Marketing Made Simple 5-step process you can implement to get more clients right now without damaging your brand. Following a discovery call with Hils, I decided to book onto Marketing Made Simple course which was an online course with 12 modules. It was truly brilliant. It was challenging at times but Hils knows exactly what you need to know. The Online Appraisal (of all your online presence) was absolutely phenomenal and cannot recommend it highly enough. Book onto this course, Hils guides you through with positivity and fantastic feedback. I wish I'd done it years ago!!! You’ll get my simple 5-step process you can implement that will get you more clients in one month with less stress, confusion and overwhelm. This is presented as a PDF download with links to other resources and will act as a framework and checklist to help you focus your marketing activities so you can get more clients. Just pop your details below to grab a copy and get started right away.